smile. It looks so natural!" We live in a society where appearance plays an integral role in our ability to succeed socially and professionally. A beautiful, healthy smile can make a significant impact on your confidence and self-esteem. 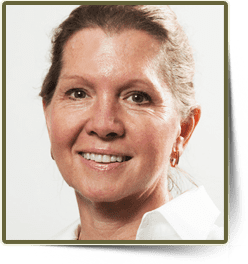 No matter what procedure has brought you into the office, you will feel like you are the only patient Dr. Rothwell or Dr. Lenick are seeing all day. From the minute you walk through the door, you can expect our friendly staff to greet you and to make everything about your visit comfortable and relaxing. We take pride in running on time, so it is likely that you will have little to no wait. 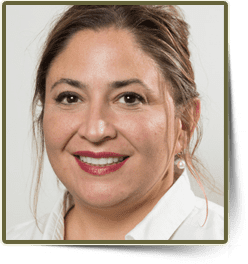 Both Dr. Rothwell and Dr. Lenick’s personalized approach to dental care and attention to detail will be obvious within the first few minutes of your appointment. Before they even pick up an instrument to begin the exam, they will interview you and take the time to listen and discuss any issues you may be experiencing. They truly care about each patient and are perfectionists when it comes to giving you the most long-lasting dental work possible. Even if it is in the middle of your treatment, they will stop working to listen and address any concerns you have. You will find that there is absolutely no rush when you are in either one of their chairs as they thoroughly explain their findings and provide recommendations. You may be asking yourself, what is the difference between a cosmetic dentist and a general dentist? It’s not so much that there’s a difference – a cosmetic dentist is simply a general dentist with an artistic flair. Most general dentists come from a functional mindset that is only focused on fixing things. A cosmetic dentist wants to do so much more than that with your smile. Yes, she also enjoys fixing things, but she is also passionate about creating beauty. For example, if you have a smile makeover, she will consider her work a complete failure unless you absolutely love your new smile. Both Dr. Rothwell and Dr. Lenick have earned Accreditation status with the American Academy of Cosmetic Dentistry. This prestigious designation further exemplifies their enthusiasm for cosmetic dentistry. There are only a few hundred professionals worldwide that have achieved this prestigious honor. In order to achieve Accreditation status, an individual must complete a rigorous process that includes a written examination, the submission of clinical cases for peer-reviewed evaluation, and an oral examination. So when you sit in either Dr. Rothwell or Dr. Lenick’s chair, you can rest assured that you are in the very best of hands. 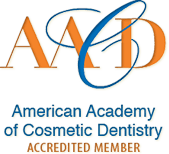 Dr. Rothwell and Dr. Lenick are both accredited members of the American Academy of Cosmetic Dentistry. I have worked very hard to develop my knowledge and skills so that I can give you the best care possible. Weekends often find me traveling around the country to take any of a variety of courses so that I can bring you the latest and best developments in dentistry.